The Dallas International Guitar Festival is the world's oldest and largest guitar festival, blending musicians, fans (that's you! ), collectors and celebrities together into one musical extravaganza.What began as the grassroots Dallas Guitar Show has now evolved into the spectacle that is the Dallas International Guitar Festival. 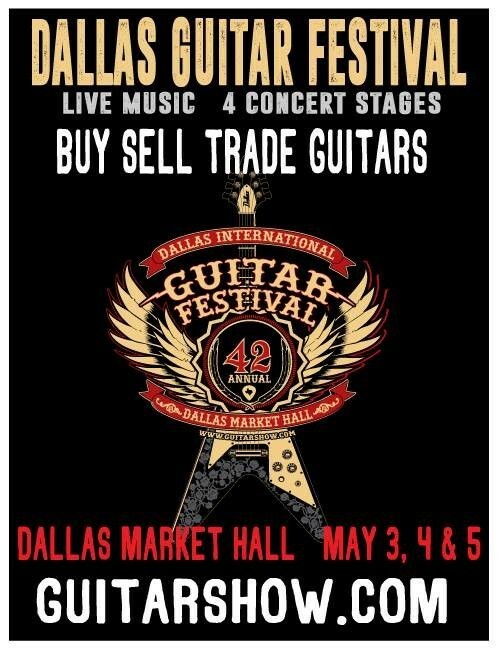 With over 140,000 square feet of space that includes three live music stages, thousands of guitars and musical equipment, over 450 booths, exhibits and other special events and activities, the Dallas International Guitar Festival has more than enough to keep you busy all weekend!